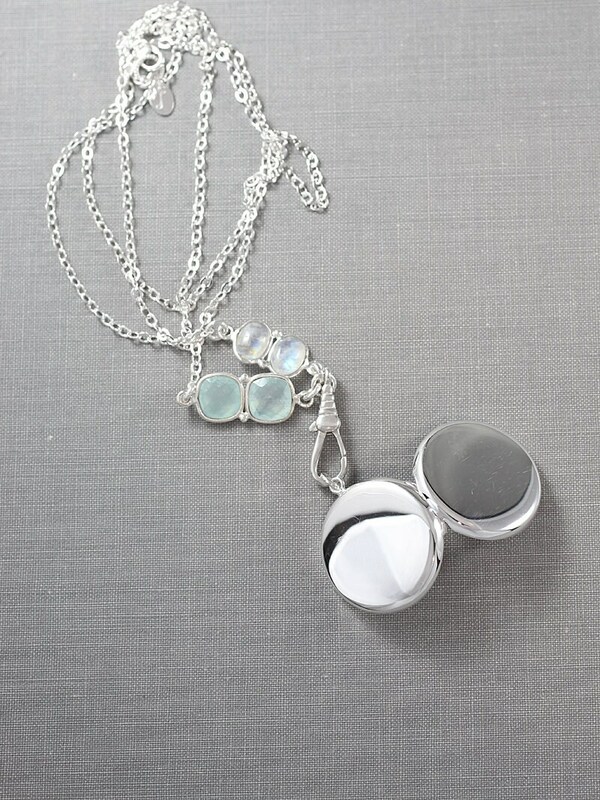 A plain round sterling silver locket opens to reveal two places ready to hold beloved photographs. 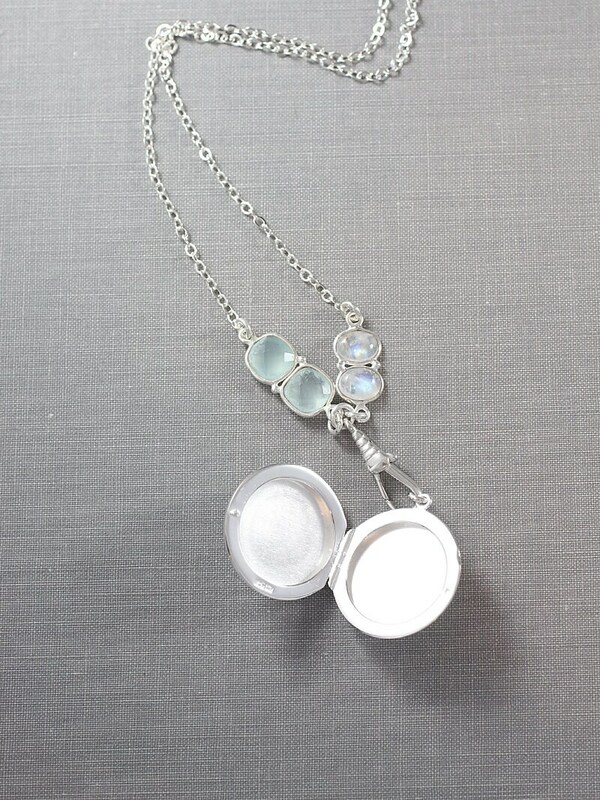 The locket dangles under two oval moonstone cabochons and two cushion cut chalcedony gemstones. 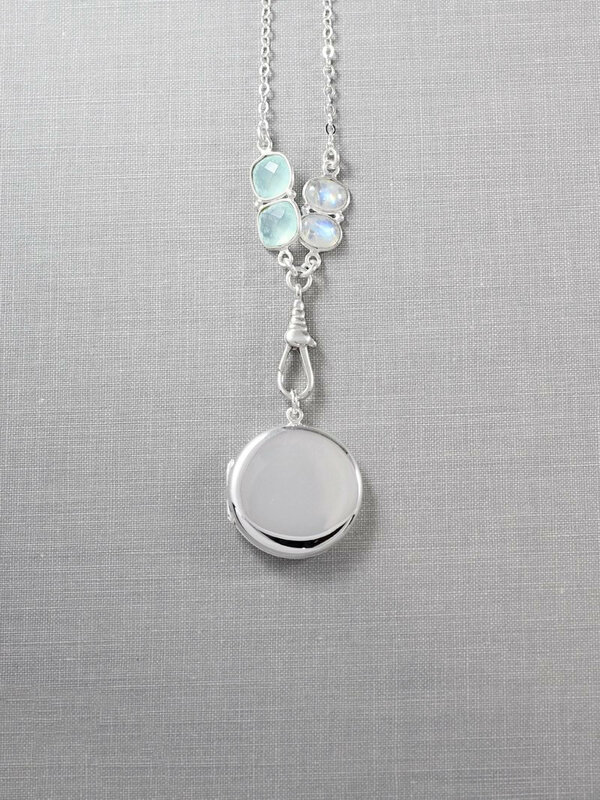 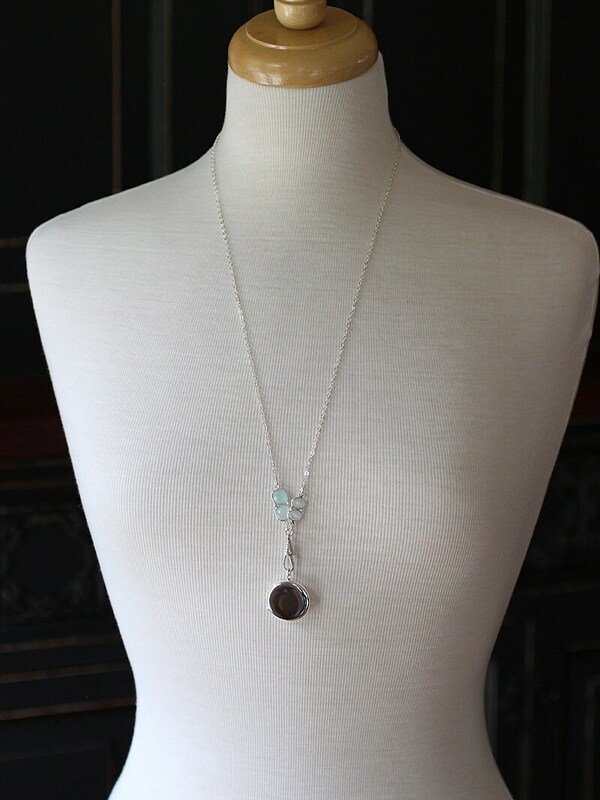 The gemstones lead to a timeless push clasp that allows you to add pendants, etc. 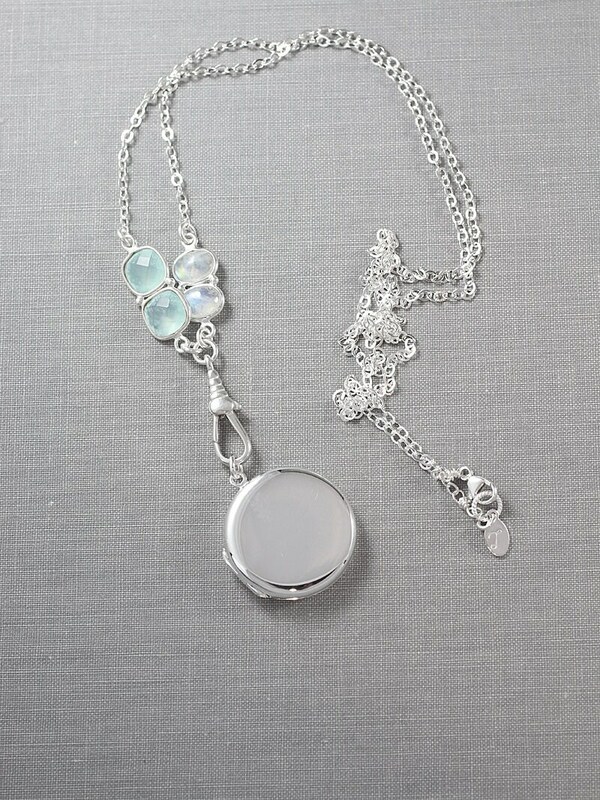 The necklace chain is hand finished with a trigger clasp and ring.